Jimmy Mulidore spent his high school years frequenting Ohio Jazz clubs, studying the greats  Miles Davis, James Moody, Sonny Rollins and Clifford Brown. He had been playing saxophone since he was 10 and had studied with Albert Calderone on classical clarinet. In high school, he was ready to tour and he spent his summers touring with Billy May, Hal McIntyre and Ralph Marterie. After high school, Mulidore went to Ohio State then Julliard then Las Vegas. On a road trip to Los Angeles with a friend, Mulidore stopped in Vegas, but never made it to LA. His career flourished in Las Vegas as he lent his talents to Frank Sinatra, Barbara Streisand, Nat King Cole and Elvis Presley. He has had a long music career as a Las Vegas hotel showroom bandleader and innovative musician. 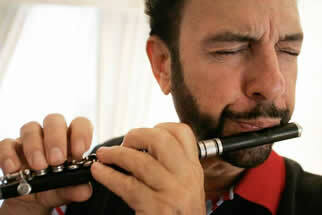 Randy Brecker and Richie Cole join Mulidore at Anthology. Brecker, a sought after trumpeter, has played on Blood Sweet & Tears Child is Father to the Man. He also led Dreams and Brecker Brothers with his jazz saxophonist brother, Michael Brecker. Alto saxophonist, Richie Cole, played with the Doc Severinsen Big Band before forming his own quintet. He has recorded over 50 albums and currently serves on the Board of the National Jazz Service Organization.